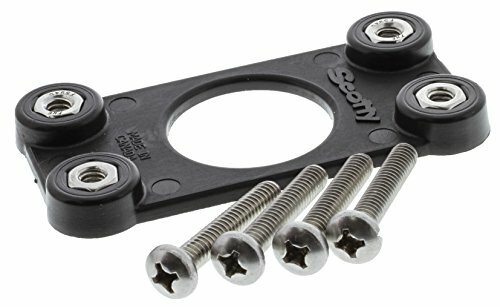 Use the Scotty #441 Backing Plate to add structural support when attaching the Scotty 241L/241 Combination Side/Deck Mount or the Scotty 244L/244 Flush Deck Mount to thin-walled watercraft. Made with super tough, rugged engineering grade nylon. Stainless steel nuts and machine screws included. 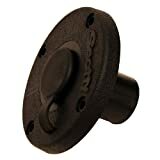 Scotty manufactures products that are sold into the fishing, marine, and outdoor industries worldwide. We have all the gear from Pot Pullers, manual and electric Downriggers, Rod Holders, Oar Locks, Fishfinder, Rod, and Float Tube Mounts, to Safety Equipment for your boat, kayak, and stand up paddle board. When it comes to on the water safety, Scotty has got you covered! Scotty safety equipment ranges from Rescue Throw Bags, Whistles, Flashlights, and Sea-Lights. We have total commitment to quality, and unmatched service. That means our customers everywhere can expect reliability and satisfaction from every product that carries the Scotty name. 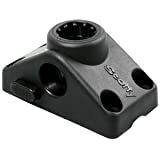 With Scotty you will find the right Downrigger, Mounting System and Accessories to suit your fishing, boating, kayaking and stand up paddle board needs.